With the launching of Apple’s iPhone 7 and iPhone 7 Plus, the hype in digital world has increased. To take advantage of present situation, most of the big mobile manufacturers have also started announcements of their high-end Smartphone flagships. Search giant and android mobile OS developer, Google is one of them. To lead the market, this time Google has launched two new high end smartphones, named Google Pixel and Pixel XL. Google Pixel is one of the most popular and demanded phones present in the market. Online booking for this Android Nougat‬ 7.0 powered handset has already been started in most of the online stores. You can make the pre-bookings at Best Buy, Verizon, Project Fi, and from Flipkart with discount coupons. At the time of Pixel’s launching, Google’s officials quoted that Pixel is built on five mainstays, Google’s Virtual Reality, Communications, Storage, Photography, and Assistant. Actually, all these five features are also the phone’s USP therefore the company cleverly launched the device without underestimating these pillars. Along with this, it is also built with several powerful features that are enough to hold the number one position in the world of droids. 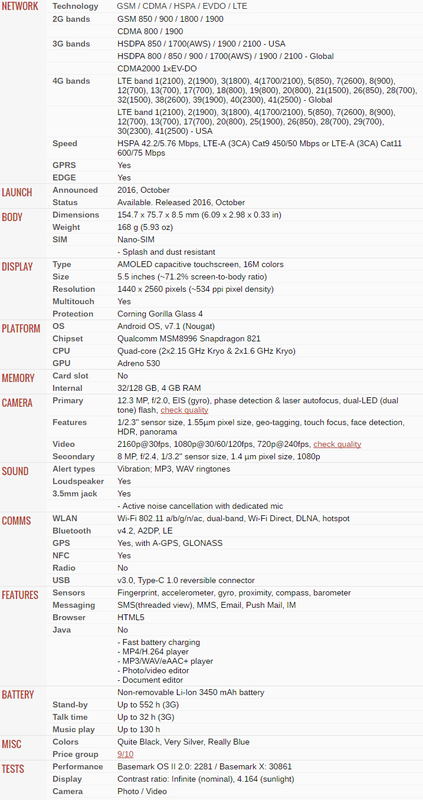 Why this smartphone is worth waiting for? It has a 12.3 mega pixel primary camera with autofocus and face-detection technology. It is powered by Qualcomm MSM8996 Snapdragon 821 chipset, Adreno 530 GPU and Quad-core (2x2.15 GHz Kryo & 2x1.6 GHz Kryo) processor. It quickly gets charged and has a longer life. Both these things make a quite nice pair for a phone. It has a non-removable Li-ion 2770 mAh battery. It also includes the USB Type-C adapter which rapidly charges the handset. All those people who love to use large screen phones must consider this smartphone as its size is 5.5 inches and screen to body ratio is approximately 71.2%. It does not need a card slot as it has internal memory of 32/128 GB that is enough to store end numbers of songs, videos and files simultaneously. Along with powerful CPU, GPU and chipset, it also comes with 4 GB RAM that offers lag free experience to user. The standby battery is almost up to 456 hours, talk time battery is up to 26 hours and music playing battery is up to 110 hours. The browser of is HTML5. This is a smartphone which has a premium and well-built design which is stunning too. Pixel Google has a combination of aluminum and glass. It also possesses a fingerprint sensor in the rear of the phone. This is the phone which almost caters all your needs as it has a headphone jack right at the top of the phone. It is available in different colors such as Really Blue, Very Silver and Quite Black. Why Google Pixel is different from others? 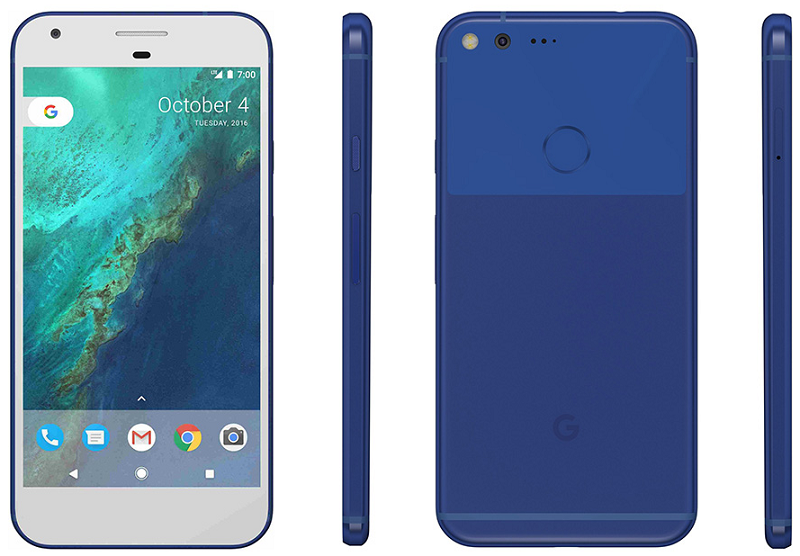 Google Pixel smartphone is giving tough competition to iPhone 7 and iPhone 7 Plus. 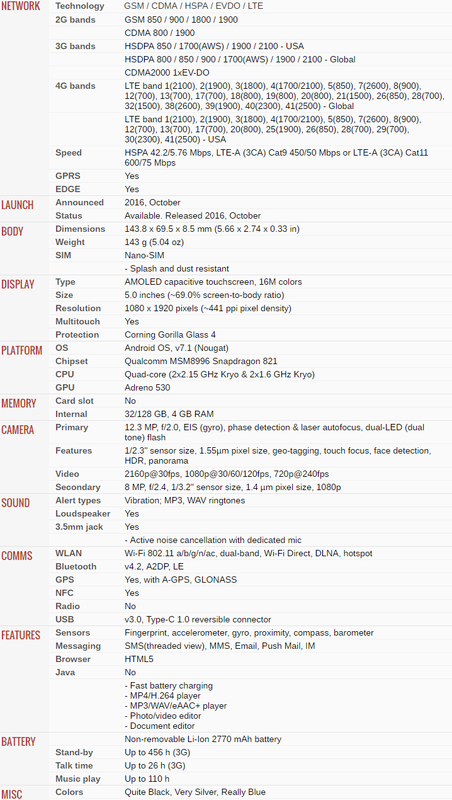 It has more RAM support whereas both the phones has quad processors. It also has crisper and larger display in order to provide you with the better visualization and best gaming experience.